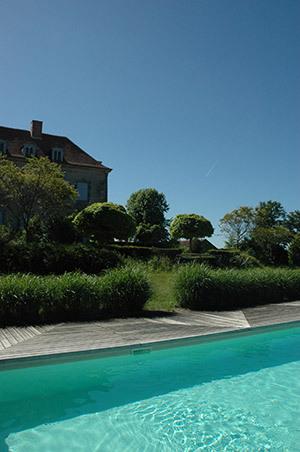 The Chateau de Sannat was proudly awarded the “Gardener’s prize” by the French Ministry of Culture in 2003. Claude & Jacques de Sainte Croix pay particularly rigorous attention to this jewel of nature and expend passionate energy in order to perpetuate the well-deserved title. 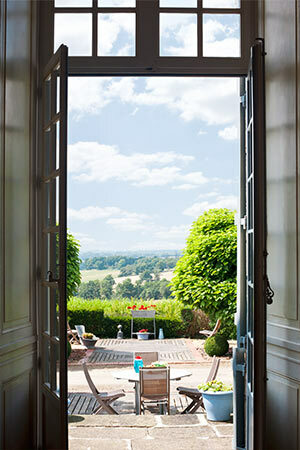 The garden and outdoor spaces are in keeping with the image of the Chateau, meticulous, stately and refined. Guests at the Chateau de Sannat can enjoy the Belvédère Garden overlooking the sleek design of the lavish swimming pool and the tennis court. The private garden includes elegant outdoor furniture (tables, chairs, a parasol and deck-chairs) and offers a comfortable setting, perfect for regenerating. 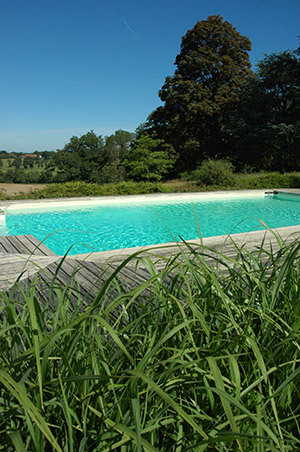 The 12 x 6 m swimming pool (depth : 110-200cm) which includes Roman steps at either end, is surrounded by a deck made from grey exotic wood and blends-in harmoniously with the surrounding greenery. 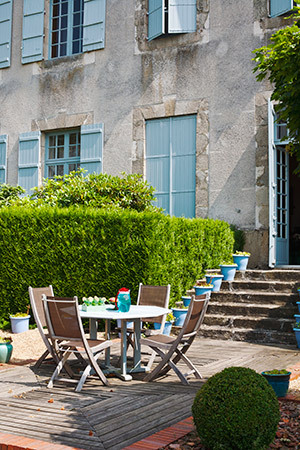 Garden furniture (a parasol and deck-chairs) is at guests’ disposal for the solarium. Complete security in compliance with safety standards is ensured by a metal fence (mostly hidden behind foliage) and an automatic ‘Prima’ safety pool-cover. Children are under the responsibility of their parents once they are in the property and in the pool area.